Soft cotton pants with a delicate scalloped edge. 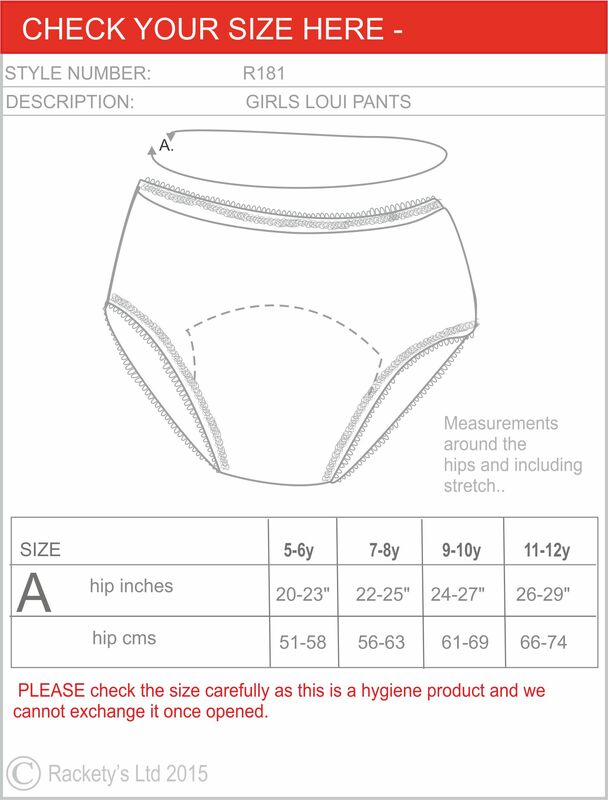 Pants made to help girls who may have toileting accidents with a built in washable pad and a waterproof backing for additional security. No need for disposable inserts as they already come with a super absorbent pad. Just wash and re-use as often as you need to. PLEASE CHECK measurements carefully this is a hygiene product that cannot be returned once opened. 94% soft cotton jersey and 6% elastine knit fabric. Super absorbent sewn in pad. Holds up to 3 tablespoons of wee. Rinse or soak, then wash at 40 degrees. Parents or carers manage incontinence. Highly absorbent stitched in pad will contain up to 3 tablespoons of liquid. Children with learning difficulties or physical disabilities.